On my previous blog post, I reviewed the Raleigh MV8, where I liked its long wheelbase, but didn’t like its stock wheel. 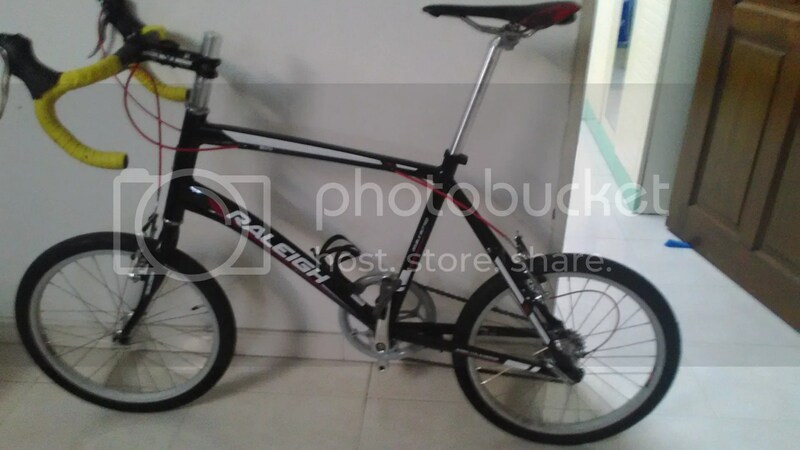 It was a good riding frame for 400 sgd or so. I made the faithful decision to upgrade it a couple of months ago. and it was finally completed after a few months. While I do not have the luxury of time to ride it around, the build was interesting and taught me much about bike re-build. The frame as mentioned previously is internally routed, so I tried to reuse the housings and cables as much as possible so as not to avoid the problem of trying to fish the housing out of the frame. The fork was also cut to the finalized position shearing off 4cm off the fork. As for the brakes, I would say that the assembly procedures for this bike is quite bad. The rear brakes dug into the frame housing so badly that the whole mounting bolt came out with the rear brakes. I was finally able to remove the mounting bolt with the help of the hair dryer. Granted, the bike doesnt even costs 4 digits, but surely a few dabs of grease would be good? I took the opportunity to upgrade to a 10 speed drivetrain. As above, its a mix and mash of parts using some old and new parts. The highlight of the drivetrain is the 61t Gebhardt chainring mated to a SRAM S300 courier crankset. 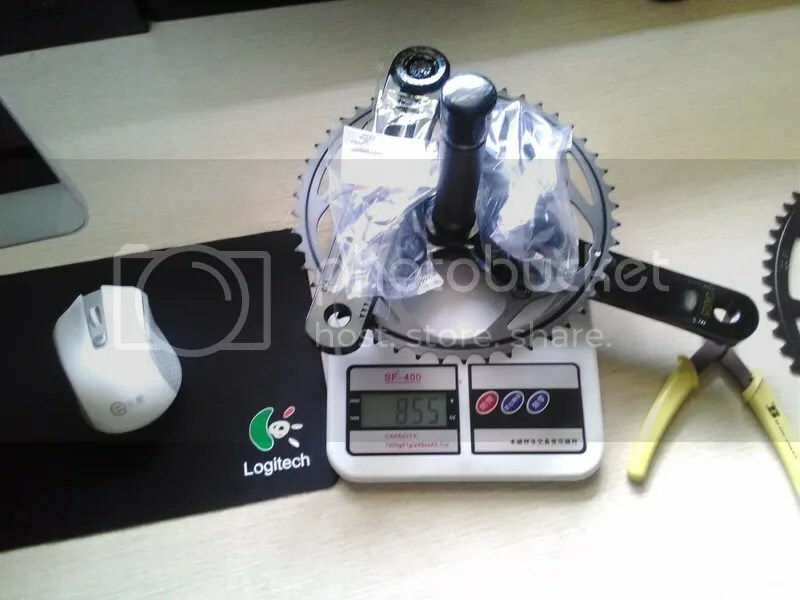 On the old 53T crankset, I find myself frequently on the 1st 4 cog of the cassette, I hope that with the larger crankset, I would be able to utilize a heavier spread of the cassette. 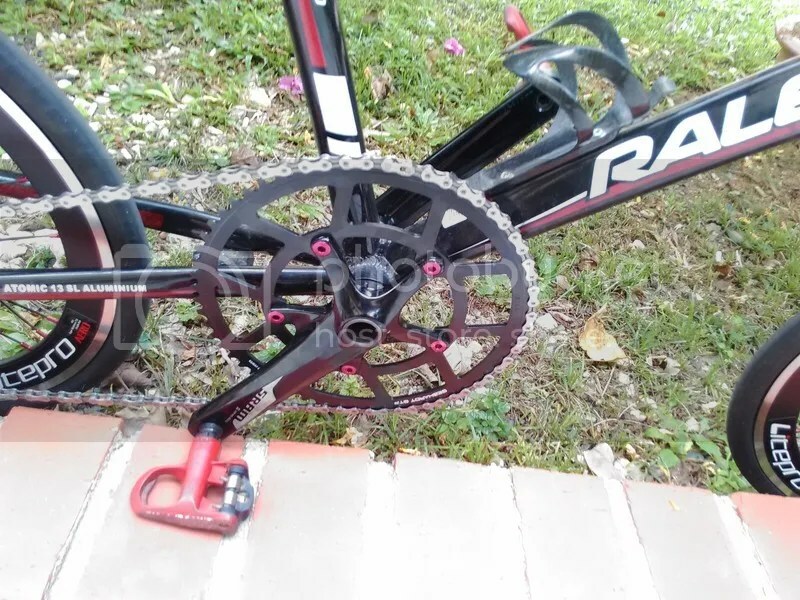 Enter the SRAM S300 courier crankset, which is cheap for an outboard bearings system. It uses the GXP system which is somewhat similar to the Shimano Hollowtech 2/ FSA MEGA EXO system using the NDS to tigthen the crank. 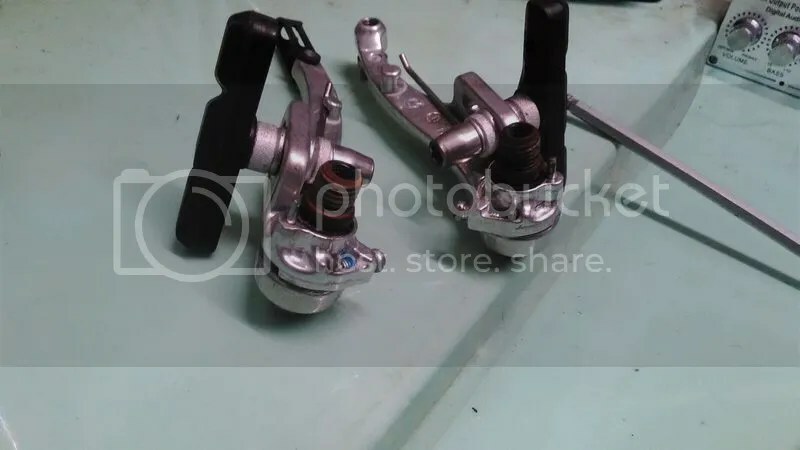 However unlike the Shimano/FSA system where it uses 3 bolts to set the preload and to tighten the crank arm, the SRAM system uses a single bolt to preload the bearings and to mount the crank in. The chainring bolts were weirdly coated in locitite, and the LBS which I went to had problems removing it, destroying a couple of drill bits in the process. The rest of the drive train are relatively standard old Shimano 105 stuff. Nothing needs to say about the reliability of the shifting system. I used the Time Egrodrive handlebar, the bar seems a little on the fat side particularly at the top. Not much could be said as I have not been riding it yet. 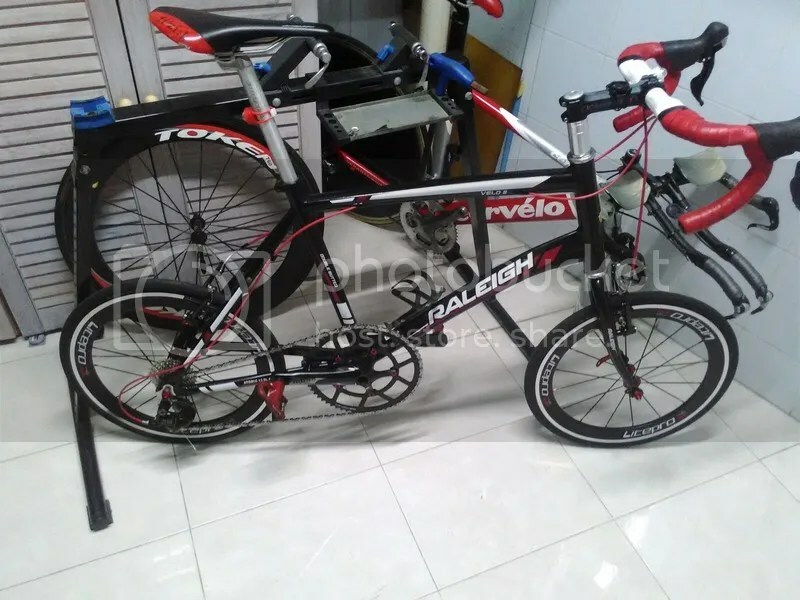 I was in a dilemma, whether to use a superlight wheelset or a aero wheelset. 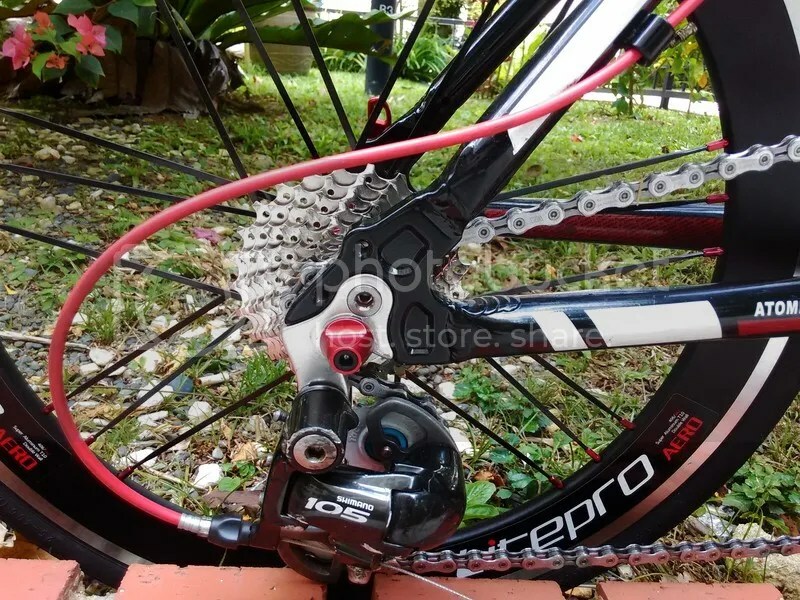 In the end, I opted for the litepro s42 wheelset. At 320 sgd, they are not cheap, the finishing was great and thats where all the good part ends. 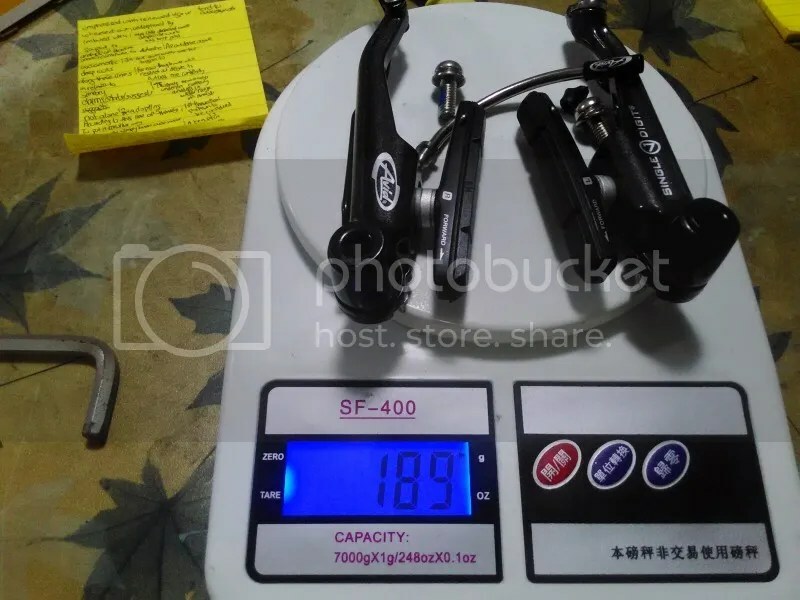 At that price range, I would expect the wheels to be perfectly true, while my front wheel was completely true, the rear wheel was slightly out of true, which is kind of disappointing given the fact that road bike factory wheels at lower price range (think Fulcrum racing 7) are have a much higher quality control of the trueness of the wheel. I must add that the aesthetic of the rims appeal to me, the black and red complemented the colors of the build overall. I did not have a chance to weight the wheels as I took delivery of it while at the bike shop. This bike will be designated as my commute bike, or a bike where I intend not to go all out. 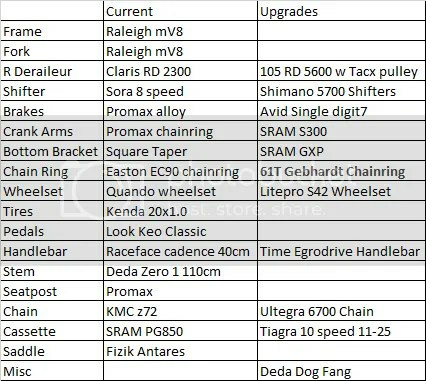 The upgrades I hope will give a new life to the bike and make it a more enjoyable bike to ride overall. The best part for me was perhaps to see the combination of multiple brands to make the bike work. 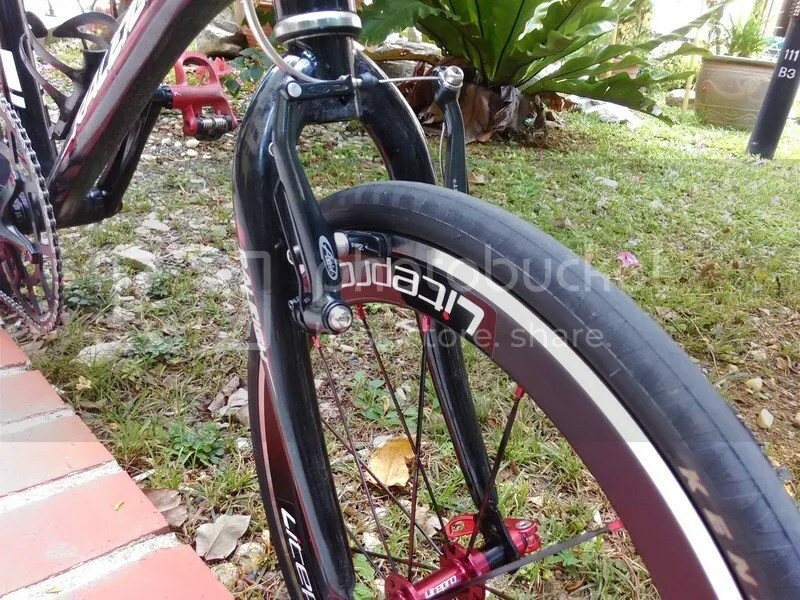 This entry was posted in Current Bike, Raleigh, Reviews, Upgrades and tagged Gebhardt Chainring, Raleigh MV8 Upgrades, shimano, Single Digit 7, Sram S300. Bookmark the permalink.